An evening's exploration of the tempestuous and graceful art form of opera, experience A Night at the Opera at Blossom Music Center on Sunday 9th July 2017! 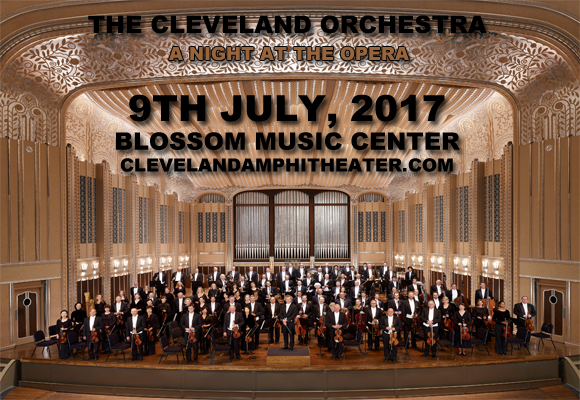 Including works by Mozart, Strauss, Verdi, and more, performed by Cleveland Orchestra conducted by Franz Welser-Most, this will be an unforgettable night filled with musical passion! "The Cleveland Orchestra is a source of civic pride because of its artistic excellence, and the community involvement of its musicians, Music Director Franz Welser-Möst, staff, and volunteers. We are so fortunate to have this great institution in our backyard," said Richard Smucker, The Cleveland Orchestra's Board President and The J.M. Smucker Company's Executive Chairman. "The Orchestra is truly making a difference in our community, and we are excited to celebrate the 100th anniversary of this cultural jewel of Northeast Ohio."